You ever watch as a server—or dear, dear friend—pours wine out for you and a few other people? You’re thirsty, so you watch the levels in each glass rise. Maybe you’re really thirsty—or just scarred from that time your little brother got more ice cream than you in 5th grade—so you notice that some folks have a bit more, some have a bit less. We’re here to tell you to relax: you can trust that your server, sommelier, or dear, dear friend is going for a “standard pour,” the happy-medium between the tasting sip austerity and filled-to-the-brim-because-why-not insanity. But just what is a “standard pour,” and why does it exist? Well, first off, the “standard pour” doesn’t actually exist. Not legally, anyway. 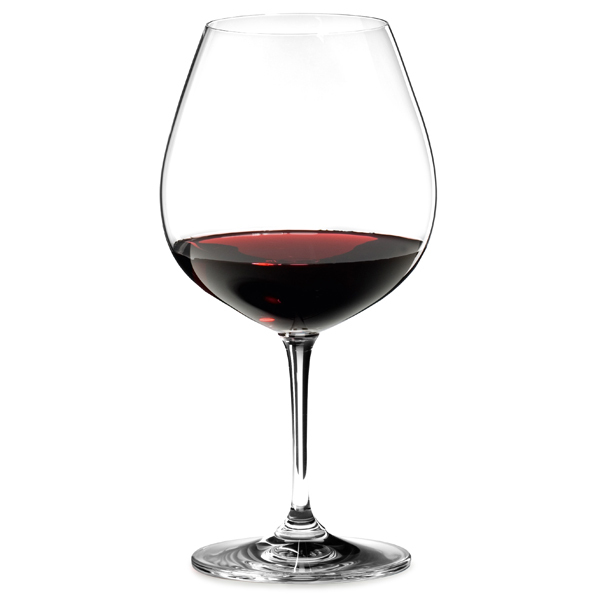 In the U.S., there’s no legal regulation as to what constitutes an acceptable pour at a restaurant or wine bar. (If that were the case, you’d see every server, sommelier, and bartender using some kind of government-issued contraption to make sure they weren’t breaking the law by over-pouring. And we’d all be a bit more bummed for it.) In a way it’s nice there’s no regulation standard pour, not on the books at least. That means your bartender can take a little pity on you after a long day (or if you’ve tipped well), and chuck an extra ounce or two in there. It also means you may be confused by what seems standard in one place vs. another. In truth, it’s not too complicated. Since wine glasses come in many shapes—so very many shapes—and sizes, it’s hard to glean just how much wine you’re getting from restaurant to restaurant, wine bar to wine bar, glass to glass. But the rule of thumb is that a pour is somewhere around the 5-ounce mark. Why 5-ounces when a standard glass of water or iced tea would be 8 ounces? Number one, it’s wine. Number two, actually no, number one suffices. Because you’re drinking an alcoholic beverage, a “glass” of wine isn’t ever going to be the same thing as a “glass” of water or milk or even a tumbler of whiskey, which, at a higher ABV, would have a much smaller “standard” pour. As stingy as it might seem sometimes—and there are places that stick by a 4-ounce standard pour, some of them with actual lines on the glasses—the standard pour is a must with wine. And it shouldn’t just exist in the restaurant. Bring it home. We’ve all seen (or been) that person who fills a glass of wine to the brim and sips it down just so, only so we can continue strutting/dancing/gesturing wildly. And those were fun, but generally reckless and socially unproductive, days. When you’re drinking wine for wine, an accompaniment to (but not the fuel of) your personality, the standard pour really matters. Not least because studies show we all tend to overpour (by about 12%) at home, pouring more if the glass is wider, if the wine is white, or if we’re holding the wine glass in our hands (as opposed to on the table). Basically, if this is your personal standard pour, everything’s bound to disappoint, including the punishing hangover you’ll be getting tomorrow. We’re not only talking moderation—though that, too. A standard pour will enhance your experience of any wine. 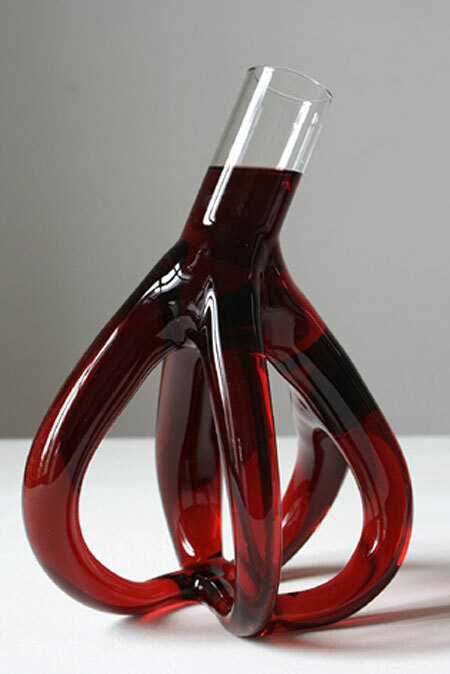 It allows oxygen to remain in the glass (a ton of oxygen, if you’re drinking out of something like this) to further open up the wine and give you a rich aromatic impression before the wine even hits your palate. Putting classy adult goals like enjoyment before old school goals like intoxication. So next time you see a server pouring out your glass of wine, don’t worry if you get less. Thank him or her, even. You’ve got a perfect visual metaphor for the kind of moderation that makes wine enjoyment actually (memorably, ahem) enjoyable.